Bon Secours and Our Lady of Bellefonte Hospital (OLBH) have added the services of nurse practitioner Whitney Rowe, APRN. She has joined Bellefonte Primary Care Greenup (1629 Ashland Drive, Unit 2 in Greenup). Rowe earned her master’s degree in nursing from Walden University in Minneapolis, Minn. and both bachelor and associate degrees in nursing from Shawnee State University in Portsmouth. 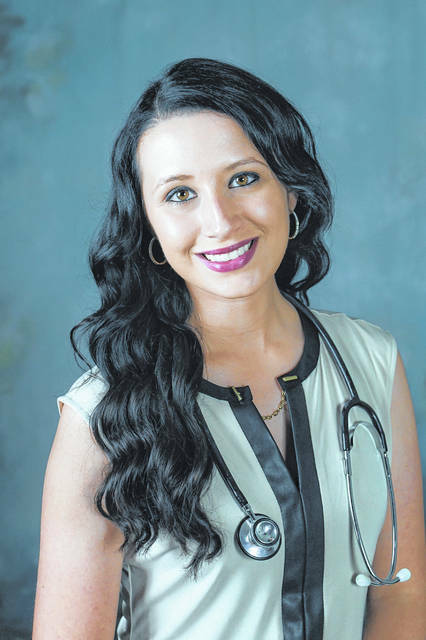 Rowe is a graduate of Greenup County High School and has returned home to establish her practice and joins Nikki Christian, M.D., in providing care at Bellefonte Primary Care Greenup. Rowe’s services are for patients ages six through adult. Bellefonte Primary Care Greenup is accepting new patients. The practice can be reached at (606) 473-0687. For more information concerning OLBH and Bon Secours, including a complete online medical directory, visit BonSecours.com.